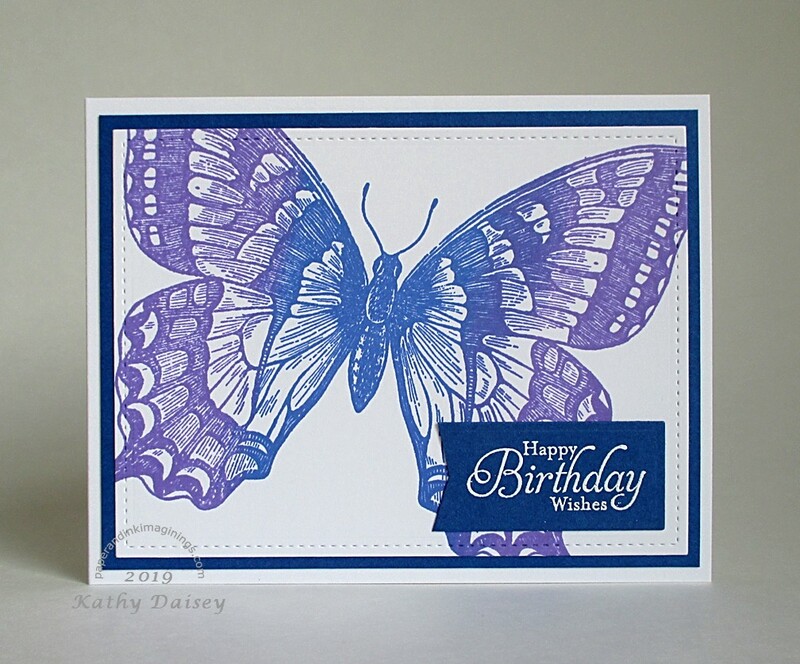 For this butterfly, the Distress Inks blended on the paper as I stamped multiple times (using MISTI for placement). Supplies: Stamps – Stampin’ Up!, paper – Gmund Royal, Neenah Classic Crest Solar White, Inks – Hero Arts Unicorn, Tim Holtz/Ranger Distress Ink Blueprint Sketch, Wilted Violet, dies – Lawn Fawn (stitched rectangle), Spellbinders (rectangle), embossing powder – Filigree Fine Art Powder white. Categories: birthday, card | Tags: card, Gmund, Hero Arts, Lawn Fawn, Neenah, Ranger, Spellbinders, Stampin' Up!, Tim Holtz | Permalink.